R.J. Rushdoony: 00:00 What’s wrong with nostalgia? This is R.J. Rushdoony with a report on our threatened freedom. When it comes to nostalgia, I plead not guilty. I want no part of it. I am sure there were a great many good things in the past, but I like today better, and I shall enjoy tomorrow even more. I know we live in troubled times, and I expect very serious troubles in the years just ahead, but I believe that God is on the throne of the universe, and I like his government. One of the things which irks me every winter is also the happy and silly nostalgia about horse-drawn sleighs. At Christmas, we hear about sleigh bells in the snow. I visited somebody and he almost reverently shows me a recent buy at an antique shop, authentic sleigh bells. Usually, some magazine, in its winter issues, will include a romantic painting about happy, singing people on a sleigh ride. R.J. Rushdoony: 01:13 Now, let me tell you the truth about sleighs. I know them firsthand from some years back from life in the high mountain country. Sleighs are one of the most miserable ways to travel man ever devised. Nothing can chill you more than a sleigh ride. You are open to the cold, freezing air, and it cuts you like a knife as you go dashing through the snow. You have a choice. If you go fast, the cold air cuts and chaps your face in a hurry and leaves you gasping for air, but the air is ice-cold, and your breath leaves little icicles on your nose and eyebrows. If you go slow, then in spite of all your clothes and robes, you turn slowly into a human icicle, numb and cold. There is no hearty “Ho, Ho” left in you, but there is much worse. R.J. Rushdoony: 02:11 Dragging a sleigh through and over snow-covered roads and fields is very hard work for the horses, particularly hard work. Among other things, it makes the horses very gassy. Now, as you handle the reins, your nose is on the same level as and directly behind the horses’ rear ends. I leave the rest to your tender imagination. The one question in your mind is this, “Will I die of asphyxiation, or will I freeze to death? There must be,” you tell yourself, “a less painful way to go.” No, not nostalgia for me. Give me a good, well-heated automobile to drive, with my wife by my side, and I feel far more romantic and much more a free man than I ever felt in an ice-cold sleigh with my nose under a horse’s rear end. Rev. R.J. Rushdoony (1916–2001), was a leading theologian, church/state expert, and author of numerous works on the application of Biblical law to society. He started the Chalcedon Foundation in 1965. His Institutes of Biblical Law (1973) began the contemporary theonomy movement which posits the validity of Biblical law as God’s standard of obedience for all. He therefore saw God’s law as the basis of the modern Christian response to the cultural decline, one he attributed to the church’s false view of God’s law being opposed to His grace. This broad Christian response he described as “Christian Reconstruction.” He is credited with igniting the modern Christian school and homeschooling movements in the mid to late 20th century. He also traveled extensively lecturing and serving as an expert witness in numerous court cases regarding religious liberty. Many ministry and educational efforts that continue today, took their philosophical and Biblical roots from his lectures and books. 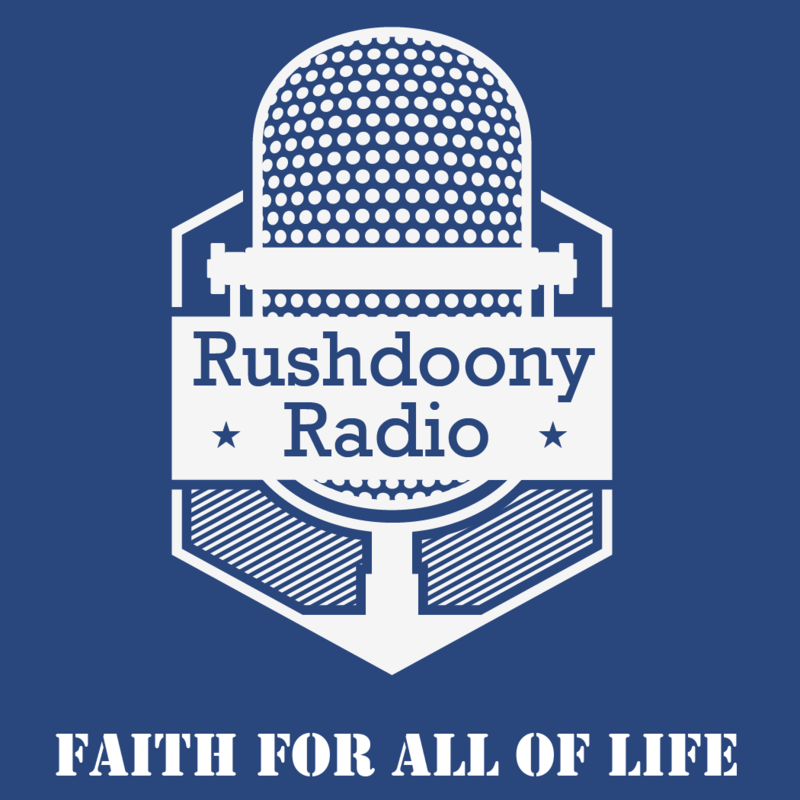 All materials on Rushdoony Radio are used by permission of the Chalcedon Foundation. Visit Chalcedon.edu for more content from R.J. Rushdoony and the Chalcedon Foundation.